Saddle-up my dear readers because Ashton’s cowboy themed party will surely get us in the mood for some good ‘ol western shindig. With cowboy hats, paisley scarves, hay bales and cowboy boots, this is one wild west adventure every little cowboy and cowgirl will never forget. Styled by Design Avenue, every corner screams – YEE-HAW! Are you ready for some horse thievin’ gun slingin’ cowboy adventure? Well, quit horsin’ around and check out Ashton’s birthday bash. Kris of design Avenue sure did an amazing job creating an old west ambiance at the party. I actually like those cow patterned standees, too stinkin’ cute. They decorated the ceiling using buntings made out of paisley scarves plus lots and lots of cowboy hats. Using rope to spell out the celebrants name added an extra zing to their already outrageously styled backdrop. They even had skeleton cattle to seal the deal! These cowboy-approved embellishments served as their table centerpieces. Giddy-yup! I like how they added a little cowboy spin to these well-loved classic games – target shooting, tin can toss and pin the horse’s tail. Ashton’s cakes most certainly got every ounce of cowboy-ness, in fact, they made sure all cowboy details are present in those cakes. These “wanted posters” featuring Ashton’s pre-event photos by Baby Love Studio look mighty fine and quite witty, too. PS: Sugar plum’s cactus meringue tower looks a-mazingly adorable! Hi Edilbert, Thanks for the info. Updated the feature. Ang cute ng set up, as if you travel back to the old wild, wild west. This is a very good theme, so country! Great job in this party. Lots of nice pictures on this post. Great cowboy theme. Q: Is this your business? 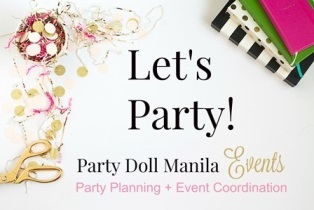 Are you the creative director of the parties you’ve featured on this blog? Such a fun-looking party. How much is the budget range for parties like this for 50 people?